There is reason to hope that my experience was wholly or partly an hallucination—for which, indeed, abundant causes existed. And yet, its realism was so hideous that I sometimes find hope impossible. I urge, with all the force of my being, a final abandonment of the masonry which my expedition set out to investigate. 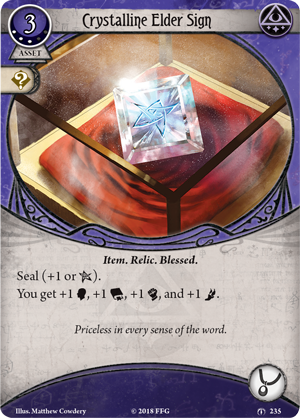 The veil that divides worlds has drawn perilously thin in Arkham Horror: The Card Game! In The Forgotten Age, you embarked on a scientific expedition to the rainforests of southern Mexico, returning home only to find that your actions have put the world in perilous danger. As The Forgotten Age cycle progresses, you struggle to make your way back to where the trouble began—to undo your mistake and gain insight into the dangers that threaten the fabric of time itself. Now, your expedition leads you to a city that defies imagination. Trapped in this maddening metropolis for an untold time, you may find yourself identifying more and more with the monsters that you once fought so hard to ward off. 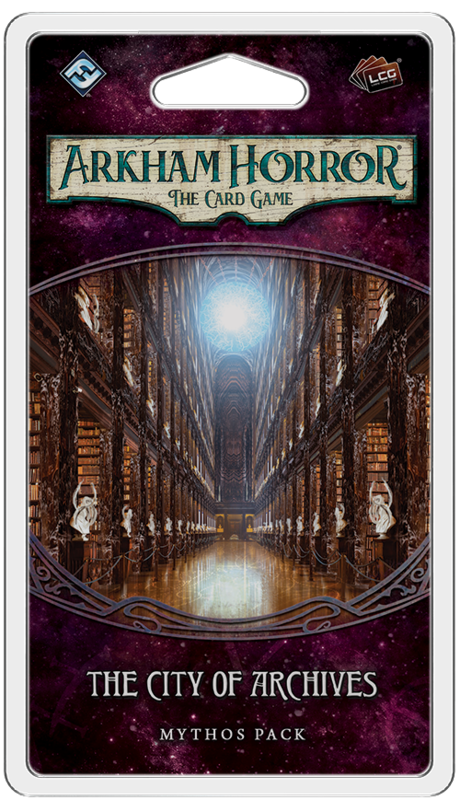 Fantasy Flight Games is proud to announce The City of Archives, the fourth Mythos Pack in The Forgotten Age cycle for Arkham Horror: The Card Game, now available for pre-order at your local retailer or online through our website! Following the events of Heart of the Elders, you and your expedition team find yourselves in close quarters with creatures that go beyond anything you expected to find in the rainforest. Time stretches on as you begin to wonder whether you have been trapped for days or weeks. You fade in and out of consciousness, attempting to comprehend all that is happening around you as your mind battles exhaustion and rages against what you know to be impossible—a hideous race of creatures that cannot be of this Earth, hidden from the world beyond. Their twisted bodies consist of immense corrugated cones of clammy flesh, with four thick limbs extending from the top. They are haunting to look upon, but does strange necessarily mean dangerous? Some of these creatures are miraculously able to speak your language, and they question you about your world. They promise you freedom to roam their city if you answer their inquiries. A free exchange of information is only fair. You have come all this way seeking new truths of the world, and this civilization could easily be the greatest scientific discovery in the history of mankind. But do you dare to trust them? As you spend more time in the city, interacting with its strange inhabitants, you may find it easier to sympathize with them. In fact, it may become too simple to identify with them. You even may discover that you’re feeling… not quite yourself. 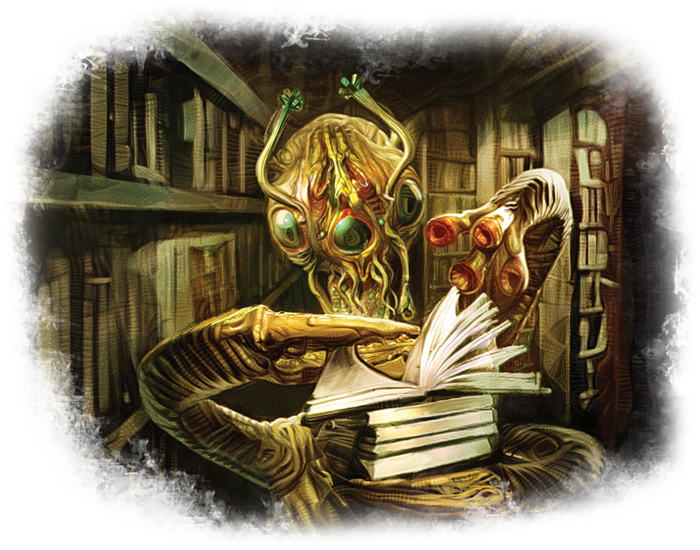 The City of Archives offer you the chance to experience an entirely new worldview and step into the shoes of your new hosts with the Body of a Yithian (The City of Archives, 244) card. 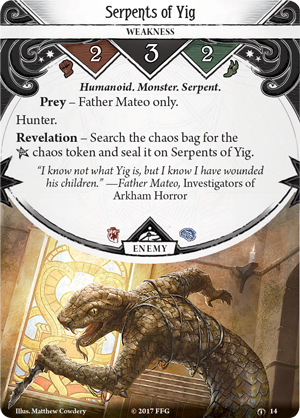 This new form does not erase who are or any of your past experiences, transferring any of your physical or mental trauma to your Body of a Yithian, as if it were your investigator card. Still, you will certainly find yourself profoundly changed. 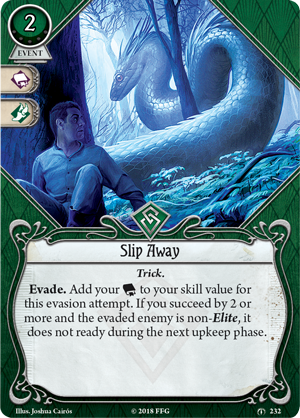 Should you find yourself in this state, your investigator deck remains the same, but you must use the Body of a Yithian investigator card, preventing you from using any of your investigator’s special abilities. Unaccustomed to this form, each of your base skills are set at a value of two while you inhabit the body. However, you are able to double the icons on a card that you commit to a skill test once per test. In this way, you may still have an edge in the areas where you once excelled, holding on to at least one small piece of your identity. Sadly, this condition does not offer freedom from your signature weaknesses. 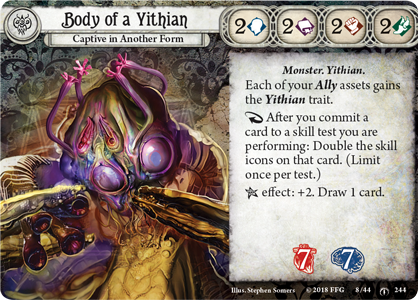 Throughout the scenario, your Body of a Yithian card is treated as if it has the same title as your former investigator card. 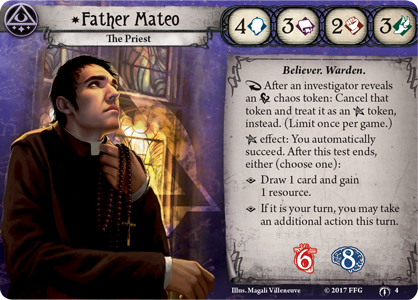 For example, if you were once the human known as Father Mateo (The Forgotten Age, 4), you must treat your Body of a Yithian card as if its title were “Father Mateo.” This means that if you draw Serpents of Yig(The Forgotten Age, 14), the Father’s signature weakness, they will still hunt you despite your altered appearance.